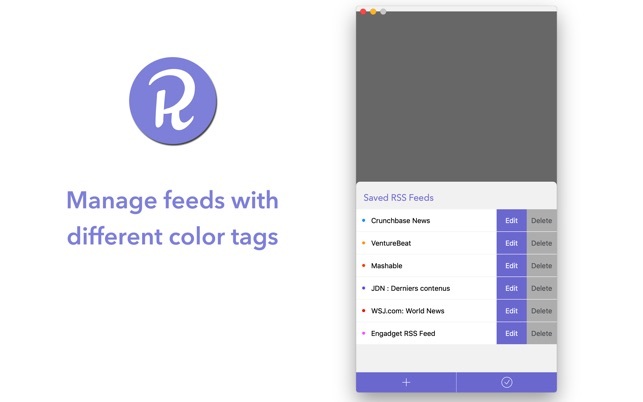 Reedr is a pure RSS reader with clean design that doesn't track your activities, you can use it to customize your reading experience while staying anonymous. 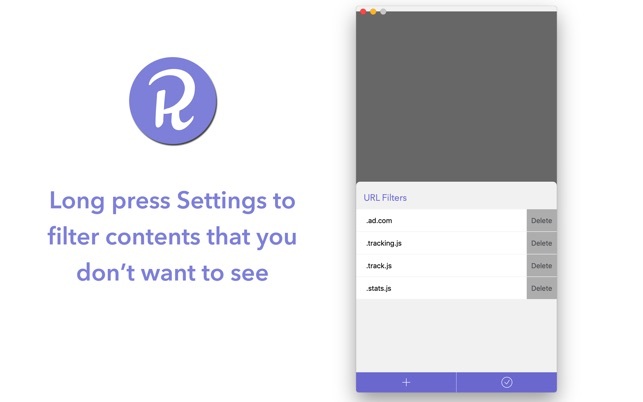 - Filter contents that you don't want to see based on URL keywords. 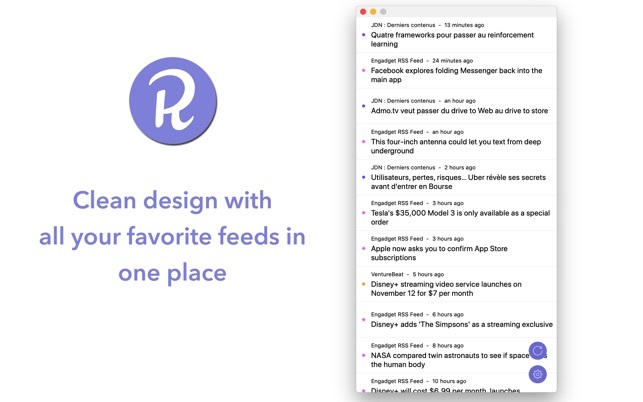 Reedr is also available for iOS on App Store.